As drum corps members are getting settled into their spring training rehearsal schedules, now is the perfect opportunity to prepare your senses for the performances you'll soon be witnessing at football stadiums across the country. To help you get a jump on the 2013 summer season, this week Drum Corps International brings you a pre-season free preview of its Fan Network subscription service from now through Sunday, June 2. 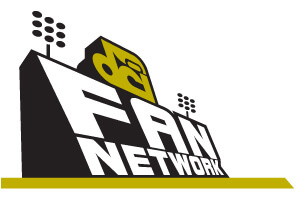 The Fan Network is DCI's popular media delivery platform, giving fans subscription-based live webcasts of select 2013 DCI Tour events, on-demand playback of current and historic corps performances dating all the way back to 1974, audio and video downloads, and much more. This pre-season preview kicks off today Wednesday, May 29, with an on-demand webcast of the 2012 DCI World Championship Finals. Showcasing all 12 finalist corps as they performed at Indianapolis' Lucas Oil Stadium last August, queue up the webcast player on the Fan Network homepage and watch the exciting conclusion of last year's 40th anniversary summer season at your leisure. During this period you'll also have access to DCI's complete video archive all the way back to 1974. To watch, simply jump over to dci.thefannetwork.org and click the play button. No signup or registration is required. This summer, the DCI Fan Network will feature live webcasts and on-demand video captured at 20 of this summer's hottest competitive events, enabling you to soak in drum corps excitement from coast to coast on your schedule and at your convenience. Live webcasts kick off on Saturday, June 22, as Pacific corps get their season underway in Stanford, Calif. Year-long Fan Network subscriptions will be available in three levels for the 2013 season.